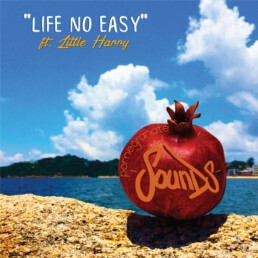 ‘Life No Easy’ is the debut release for Pomegranate Sounds, the production team of Tree-Angles and The Groove Thief. With deejay Little Harry on vocal duty, the release comes with the vocal and three dubs, one mixed by Jim The Boss of Hoboken HiFi. The Groove Thief, is a selector, music journalist, promoter and now producer. He started off in the late-90s in college radio and hearing live reggae while attending American Jamband festivals. Natty Nation, who he saw regularly, stood out with their killer live shows and got him digging deeper into the genre. 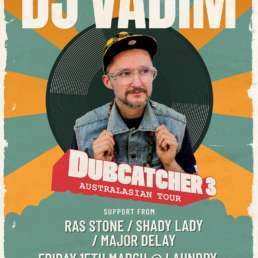 After arriving in Hong Kong, he began focusing mainly on reggae and dub. Between 2014 and 2016, Groove Thief linked with French duo Tree-Angles, promoting and DJing various events. Their flagship night being ‘Pomegranate’, an eclectic Hong Kong club night serving up Afrobeat, dub, reggae, jazz, funk, hip-hop and heavy bass sounds. When Groove Thief moved back to the U.S they knew they wanted to continue working together creatively and Pomegranate Sounds was born. Little Harry first started deejaying on a friend’s sounds system, Black Lion, around the age of 12. His real break came in a deejay competition in Skateland that was won by Yellowman. Although he didn’t win he definitely got noticed, and a few years later he was deejaying on the legendary Volcano sound and recording for the likes of Junjo Lawes and Jammys. Having first heard Little Harry on ‘Hard Life’ by High Smile Hifi and subsequently featuring him on a dubplate, the Pomegranate Sounds crew thought he’d be a great fit for the riddim and their first release. The upfront rocksteady/reggae riddim underpins the track, built by Tree-Angles in their studio on Cheung Chau Island. 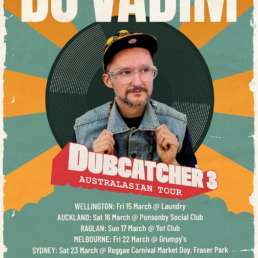 The Groove Thief is a fan of the Mungos Hi Fi sound and you can also hear these influences in the riddim. 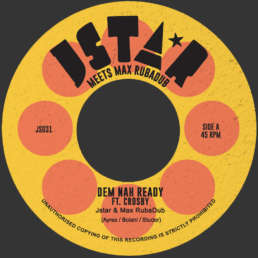 I take my hat off to people building fresh riddims with a rocksteady vibe to them, as it’s always a tough ask to compete with the luminaries and legends that came out of Jamaica first time around. To me this is a nice mash-up of a Mungo’s-esk riddim with a rocksteady vibe, with Little Harry’s vocal telling of life’s struggles. It’s a catchy number that I’m sure that will be added to plenty of summer time playlists, my favourite piece being the straight riddim track.